IBIT or I'm Black n I Travel. 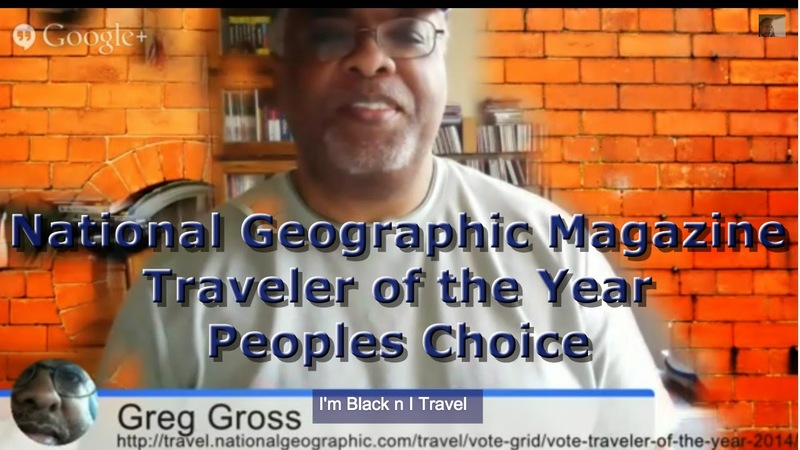 Greg, one of the nominees for the National Geographic Traveler of the Year Peoples Choice will be promoting travel to the continent of Africa. Please vote for Greg here. You are invited to join us on The Skychi Travel Guide Live on Tuesday, October 21, 2014 at 7 pm CST for our youtube Ondemand broadcast. If you are unable to join us Live, you watch the playback ondemand according to your schedule. You can watch the event on the video above. If you want to engage in the conversation click on "Watch on Youtube". Then submit your questions in the comment section on the Youtube watch page.